Zend Framework is an open source framework for developing web applications in PHP and is based on modular MVC (Model-View-Controller) design. Zend Framework is implemented using object oriented code and utilizes most of the new features of PHP namely namespaces, late static binding, lambda functions and closures. Zend Framework has a unique component structure where each component is designed with very few inter-dependencies on the other components. It is a simple, straightforward, object oriented, open-source software framework. It has been designed to build more secure and reliable web services, while employing widely available APIs from leading vendors. It saves PHP simplicity and enhances PHP possibilities via accuracy and logics of web applications development process. We specialize in Zend Framework to build solutions such as smart CMS, ecommerce and customized application development. 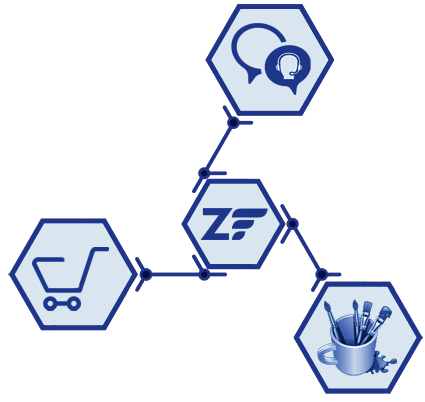 We have experienced and innovative developers, who have opted for our Zend expertise to build applications that help your business, see a quick turnaround for the better.